On Monday, April 22 at 6:45 pm the Smithsonian Associates presents an evening program with book signing on Harriet Tubman. Tickets are required. For more information and to purchase tickets, click here. Drawing on her new novel The Tubman Command, historian Elizabeth Cobbs examines a chapter in Tubman’s life that is less well-known: her Civil War military service in South Carolina. Tubman worked for the Union army as a nurse, a cook, and a spy. She recruited a group of former slaves to hunt for rebel camps and report on the movement of the Confederate troops. In 1863, she was the first woman to spearhead an armed expedition in the war when she guided a raid at Combahee Ferry, a mission. Not long after the Civil War, Congress awarded men who had served under her the pensions of scouts, while Tubman petitioned 30 years for her own, and was finally awarded the annuity of a nurse—less than half the pay of a scout. On Monday, April 1 at 6:45 pm the Smithsonian Associates presents an evening program with a post reception beer tasting centered around the “Game of Thrones.” Tickets are required. For more information and to purchase tickets, click here. For devoted followers of HBO’s “Game of Thrones,” the Seven Kingdoms of Westeros is a land they know intimately. Its castle halls, towering battlements, starkly beautiful landscapes, and torch-lit chambers are places that root the epic narrative in a highly detailed world that bridges the real and the imagined. Production designer Deborah Riley, who joined the series in Season 4, is responsible for creating the visual environment against which the saga of power, family, revenge and romance plays out. Just as the show’s characters and plots reflect a range of world mythologies and legendary archetypes, so too does the look of “Game of Thrones,” for which Riley draws on a mix of historical periods, styles, and cultural traditions. Even the shooting locations—which extend from Northern Ireland to Croatia to Iceland—add to that global mix. In conversation with Alyssa Rosenberg, opinion writer at the Washington Post, Riley and executive producer Bernadette Caulfield discuss the show’s distinctive visual style and offer behind-the-scenes insights into the making of the series. At a reception afterward, raise a toast with “Game of Thrones” beers from Ommegang Brewery, including the newest in the line. Female rulers are a rare phenomenon—but thousands of years ago in ancient Egypt, women reigned supreme. Queens like Hatshepsut, Nefertiti, and Cleopatra controlled the totalitarian state as power-brokers and rulers. But throughout human history, women in positions of power were more often used as political pawns in a male-dominated society. What was so special about ancient Egypt that provided women this kind of access to the highest political office? What was it about these women that allowed them to transcend patriarchal obstacles? What did Egypt gain from its liberal reliance on female leadership, and could today’s world learn from its example? Celebrated Egyptologist Kara Cooney will deliver a fascinating tale of female power through the lives of six remarkable pharaohs—women who ruled with real authority. She’ll shine a piercing light on perceptions of women in power, exploring why it has seldom been allowed through history and why that is relevant today. For more information & to purchase tickets. on a global scale amongst groups and individuals dedicated to implementing solutions to the many challenges we face on the planet at this time…We invite you to join us in a movement without which all the other movements for change can not be successful. The crucial movement we are talking about is the shift from ‘I’ to ‘We'”. Tonight at 6 pm, Patrick Carolan (from the Franciscan Action Network’s (FAN)) is honored to be joining this important movement. As a Franciscan, a Christian, and simply a human being – we are called to live out the gospel message to love, as Patrick pointed out in his speech at a rally in front of the White House yesterday. By shifting the social narrative, a feeling of connectivity reflected in one’s thoughts and actions is created; which, in turn, maximizes social change through cooperation and coordination between the world’s transformative movements. 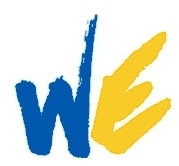 FAN’s own Patrick Carolan will be live tonight joining the We, The World Campaign to discuss how we can move our culture away from US vs THEM; and towards a “WE Thinking” and “WE Consciousness” that values the Common Good, and the well-being of us all.